Shop sustainably for your wedding dress and give back to charity by shopping with Brides for a Cause! 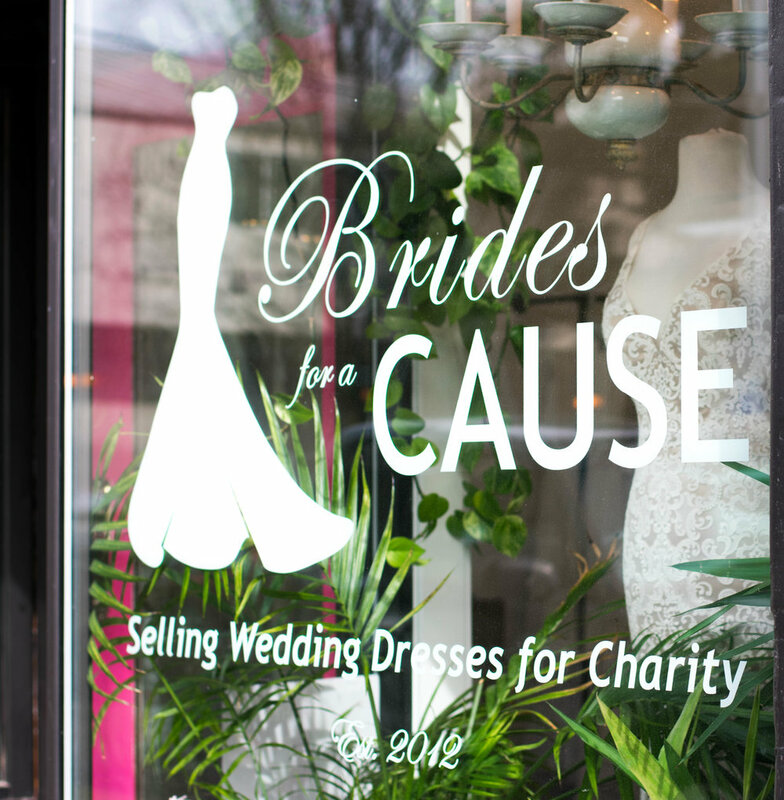 Brides for a Cause is a non-profit bridal boutique that sells wedding dresses for charity. This unique bridal shop focuses on collecting & reselling wedding dresses while empowering women. The proceeds from wedding dresses sold are donated to women focused charities. Since opening in 2012, Brides for a Cause has collected over 10,000 wedding dresses and donated over $700,000 to their charity partners. Bridal shops around the country partner with Brides for a Cause to donate their excess wedding dress inventory. Brides for a Cause uses the donations to stock their own boutiques in Portland, Seattle and Tacoma, selling these brand NEW dresses at discounted prices. On top of receiving brand new dresses from bridal shops around the country, Brides for a Cause also collects & resells gently used dresses from recent brides. The Brides for a Cause boutiques consist of a mix of brand new and gently used dresses. SO MANY. 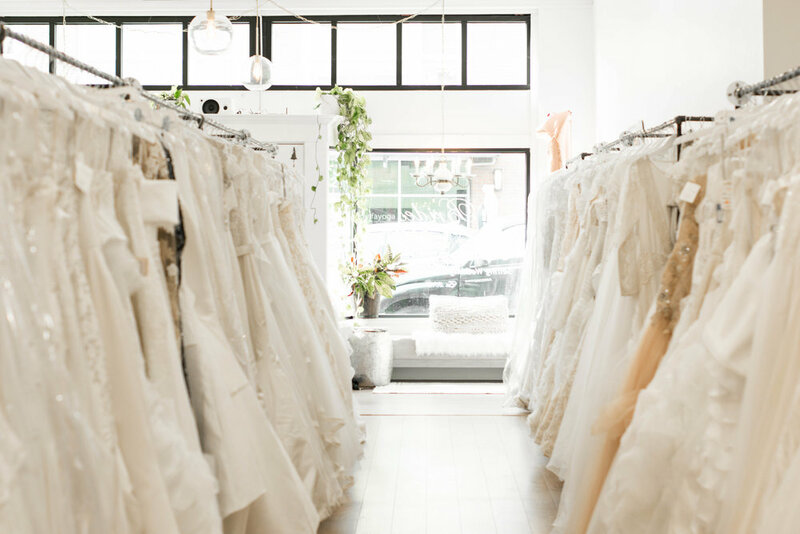 Brides-to-be can walk into a Brides for a Cause boutique and expect to be greeted by a friendly face while shopping gorgeous gowns at reasonable prices. When I was shopping for my dress I was pleasantly surprised at their wide variety of dress styles, sizes, (they’re plus size inclusive too which is awesome, sizes typically range from 0-24 depending when you visit as dresses come in and out all the time), and prices. I saw a lot of dresses in the $200-$800 range, which is great considering how expensive wedding gowns can be. Proceeds from the dresses sold in the boutiques are donated to Brides for a Cause charity partners. Brides for a Cause donates to women focused charities to continue celebrating and empowering lovely ladies. Previously Brides for a Cause charity partners have included Wish Upon a Wedding, a nonprofit organization that grants free weddings for couples facing serious illness or life altering circumstances and Dress for Success, a nonprofit that empowers women to achieve economic independence by providing a network of support, professional attire and the development tools to help women thrive in work and in life. In 2018, Brides for a Cause supported 15 different local and national nonprofits totalling $175,000! So far in 2019, Brides for a Cause has donated $75,000 and has a goal of giving away a total of $175,000 again this year! So amazing! For a full list of Brides for a Cause charity partners click here. I’m so impressed with Brides for a Cause. This unique business model is great because it prevents unwanted wedding dresses & accessories from ending up in the landfill, recycles dresses to find new happy homes, and gives back. So much good! I had an amazing experience shopping for my wedding dress at Brides for a Cause, stay tuned to find out more about my shopping experience. And if you’re a recent bride who is interested in donating a dress to Brides for a Cause you can learn more here. Not in the PNW near a Brides for a Cause store? You can still be sustainable about your wedding dress choices! There are a few other charitable bridal shops throughout the country. Try researching and see if one is near you. Consider donating your dress to Brides for a Cause after your special day. For more details on donating your dress to Brides for a Cause click here. For more tips & tricks on ethical fashion & conscious living be sure to follow The Honest Consumer on social media.